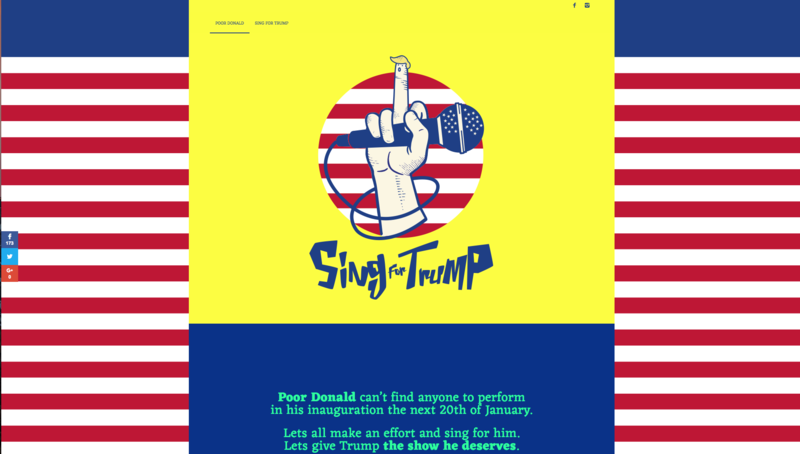 Sing for Trump, is a creative action for the inauguration the 20th of January. Donald Trump had problems to achieved any performance on his inauguration. 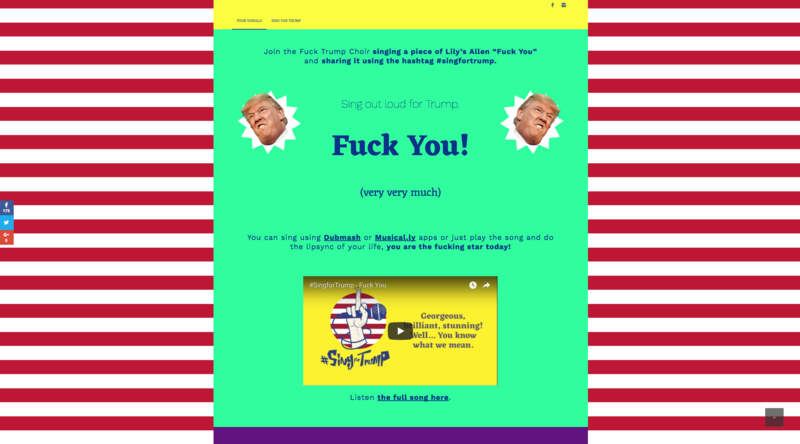 The objective of the site creates a digital choir to give the show that Donald Trump deserved. We created a new site, following the graphical guidelines and creating a quick site. Based on WordPress, we installed an amazing and competitive theme, created a customized child theme and adapted all the content. We installed the necessary plugins and launched the site in only 2 days. In one day we achieved more than 1k users active visiting the website. Do you want something similar as our work with Sing for Trump?